As expected, the SNB has not changed monetary policy, keeping rates unchanged: the interest rate on sight deposits held at the SNB remains set at -0.75%, and the margin of fluctuation of the Libor at three months remains between -1.25% and -0.25%. 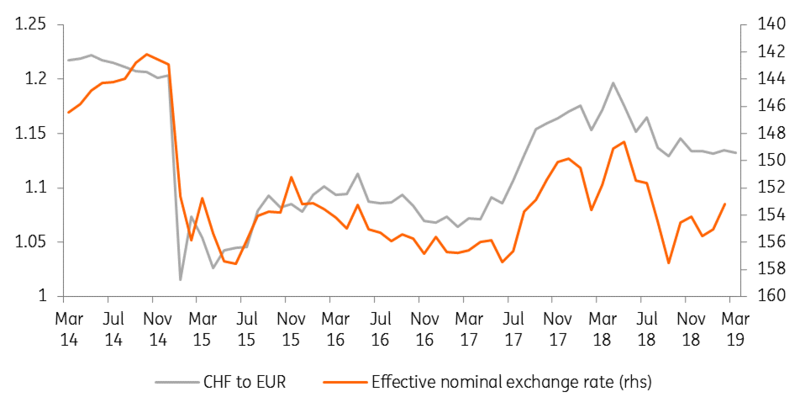 Despite a slight depreciation of the Swiss franc, the SNB still describes the currency as "highly valued" and continues to intervene on the foreign exchange market, if needed. The SNB has also reduced its conditional inflation forecast (i.e. assuming an unchanged policy rate). 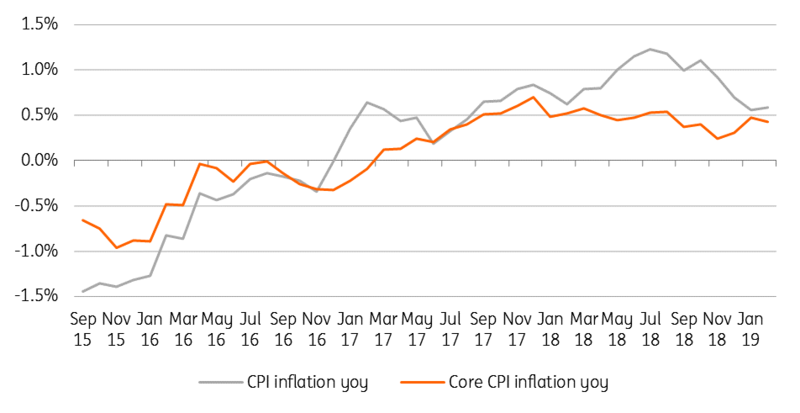 For 2019, it expects an inflation rate of 0.3%, compared to its forecast of 0.6% in December and 0.9% a year ago. This downward revision is, according to the SNB, the result of lower growth prospects, weaker inflation and revised expectations about monetary policy around the globe. For 2020, the SNB forecasts an inflation rate of 0.6% and 1.2% for 2021. The revised forecasts are a sign that the SNB is more dovish than ever before and is not planning any monetary tightening over the forecast period. A first increase will not, in our view, be considered before the next economic cycle. We believe these new forecasts also show that the SNB cannot act alone to avert periods of low inflation or outright deflation in Switzerland. Its power to fight this risk is constrained because it has reached the limits of the instruments it can put in place. In the event of a stronger-than-expected slowdown in growth, which would weigh on inflation, the SNB will no longer have the tools available to stabilise price developments. As a result, a more expansionary fiscal policy will probably be needed in the future, alongside the SNB, to fight against deflationary pressures in Switzerland. Regarding GDP growth forecasts, the SNB recognises that indicators have deteriorated in recent months. However, it believes that they reflect a "moderately positive" dynamic and forecasts growth of around 1.5% in 2019. While the government predicts 1.1%, this forecast seems, in our opinion, relatively optimistic. The SNB's monetary policy review confirms our forecast: we believe the SNB will not be able to raise rates for several years. It will have to wait for the next economic cycle to have the opportunity to increase them. In the meantime, negative rates are likely to remain the norm for Switzerland. At the same time, we don't believe the SNB will further reduce rates in the event of a stronger-than-expected economic slowdown. It could, however, intervene more in the foreign exchange market if the Swiss franc were to appreciate too much. At the same time, we believe that a more expansionary fiscal policy is likely to be put in place, should the recovery falter.